Cinco de Mayo is a holiday that Dan and I have yet to celebrate together, which is surprising because we craaaaaaave Mexican food. At some point we just started getting Mexican takeout a couple days a week . This year we’re going to a baby shower on Cinco de Mayo but after looking at these yummy recipes I have feeling we’re going to find a way to satisfy our craving. These recipes and ideas would be perfect for inviting friends over to celebrate Mexico defeating France in 1862. Thanks Wikipedia. (who knew that that’s really where Cinco de Mayo comes from?) and all that cheesy, meaty, tequila-y goodness that we love. 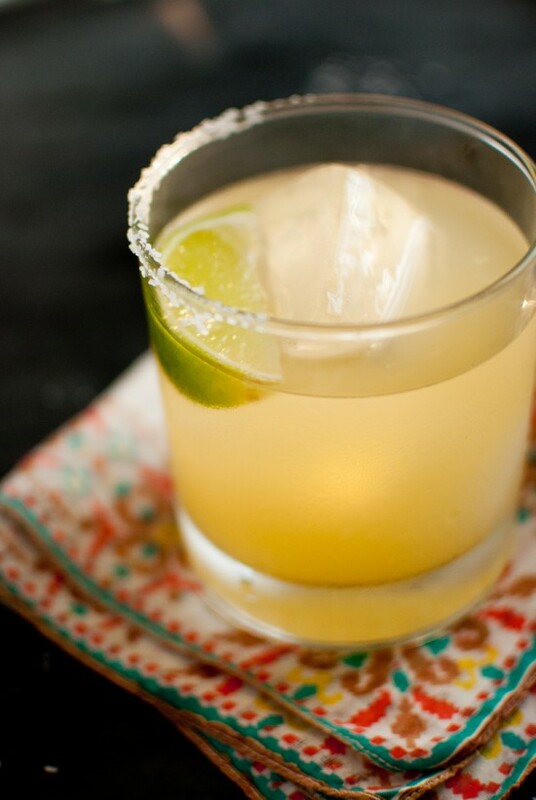 Spicy Grapefruit Margarita | The Life Styled – This sounds like a lovely change-up from your normal lime margarita. Plus, cayenne simple syrup. Mmm spicy! Skinny Margaritas | Cookie + Kate – A Cup of Joe considers this the best margarita you’ll ever have. I’ll take fresh lime juice any day. Beyond the Big Day: Summer Fiesta | Design Sponge – Check out the whole post for all the tissue paper and cacti ideas. Simple, beautiful. Easy DIY Fringe Runner For Cinco De Mayo | Hank and Hunt – I love this table runner. It’s so lush and bold. Mexican Corn Cakes with Shredded Pork | Kitchen Trial and Error – Dan loves corn. I think it’s OK but I imagine these have a nice mix of savory, maybe spicy meat, cool, smooth avocado, and sweet corn cakes. Yum. Caramelized Nectarine and Feta Quesadilla with a Balsamic Glaze | Fantastic Eats – When I first looked at these I thought it was dessert but these actually sound pretty delicious. Feta + fruit makes a lot of sense, but throw them in a quesadilla and boom classy Cinco de Mayo approved healthy(ish) eats.